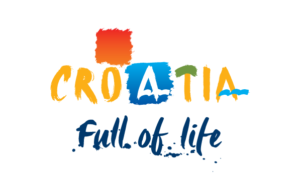 Vacation villas, apartments and hotels in Croatia - Charming Croatia / Experiences / Join Norway at the European Handball Championship 2018 in Croatia! Porec is hosting the Norwegian matches at the 2018 European Men’s Handball Championship! This is a great opportunity to be a special kind of supporter - bring your friends, Norwegian flag and shirt, and visit Porec and Istria for a few days. Enjoy handball, support Norge, visit attractions and towns nearby. Take a day trip to Venice, Ljubljana or Zagreb, or just enjoy the Istrian scenery and comfort in one of our wonderful villas. See our available villas for January below and take advantage of this special offer which includes tickets to three matches, wine tasting and more. Flight is not included in price. Need more info? Contact us. This 200-year-old renovated home has a billiard room, wine cellar and fully equipped kitchen. For smaller groups, please contact us for price info. Click below to see all villa details and send us a booking request! Enjoy the Jacuzzi or relax by the fireplace at this comofrtable villa. Here you can buy homemade prosciutto and wine directly from your friendly neighbors. For smaller or larger groups (max 8), please contact us for price info. A modern home in a small Istrian village, includes sauna and indoor Jacuzzi. For smaller or larger groups (max 10), please contact us for price info. Contact us for more info and a booking request. Ultra-modern beachfront home in old town with indoor pool and sauna. Ultra-modern, beachfront estate with sauna. For smaller or larger groups (max 12), please contact us for price info.